The injection of a fella lovingly called Rafa slowed the pace at which Roger Federer would reach this milestone, but it has happened nonetheless. 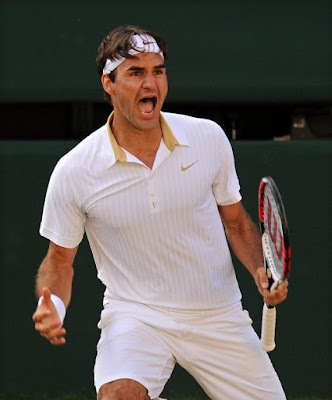 The 2009 Wimbledon champion defeated American Andy Roddick 5-7, 78-66, 77-65, 3-6, 16-14. Roger is a great and gracious champion who has truly earned this crown through hard work and a lot of joy and pain. Congratulations Roger Federer on becoming the top grand slam title holder in all of tennis - Yay big 15!